Malawi, also called the Republic of Malawi, is a country in southeastern Africa. Malawi is among the most economically poor countries in the world, with a huge percentage of their population being rural farmers. Rampant health epidemics among Malawi’s population, including high infant mortality and HIV rates, have prevented it from developing. The .AC.MW domain extension is intended for use by academic institutions. Info: This extension relates to academic pursuits. Description: Malawi' s country code is .MW. 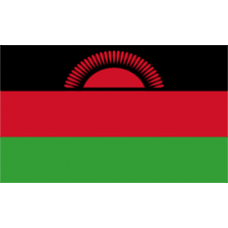 Malawi is unique because in employs Westernized diplomacy and military-styles, which is n.. Description: Malawi, also called the Republic of Malawi, is a country in southeastern Africa. Malawi is among the most economically p..